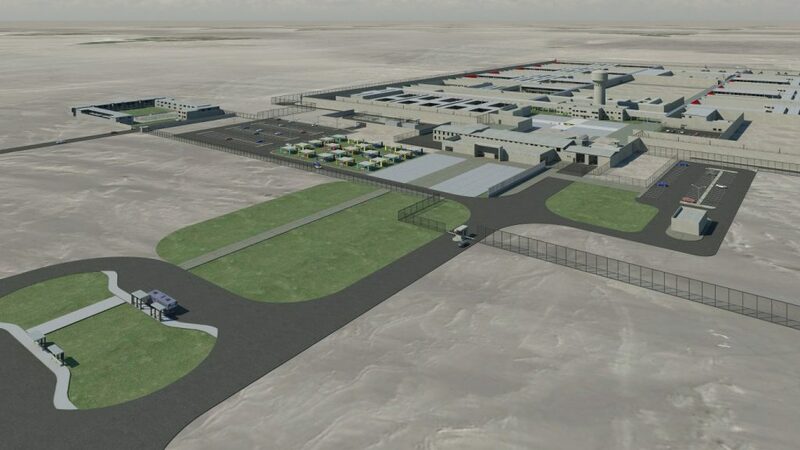 The project aims to satisfy the demand for penitentiary infrastructure in Peru, the objective of which is to achieve the rehabilitation and readaptation of inmates through appropriate education policies, accompanied by rules and regulations, training workshops and social reintegration. On the other hand, it must also satisfy the current and future demand for penitentiary infrastructure, within the framework of the new policy of the sector and the optimization of State resources. Ordinary closed regime:Men 20 modules (144 inmates per module): 5 minimum, 10 medium and 5 maximum. 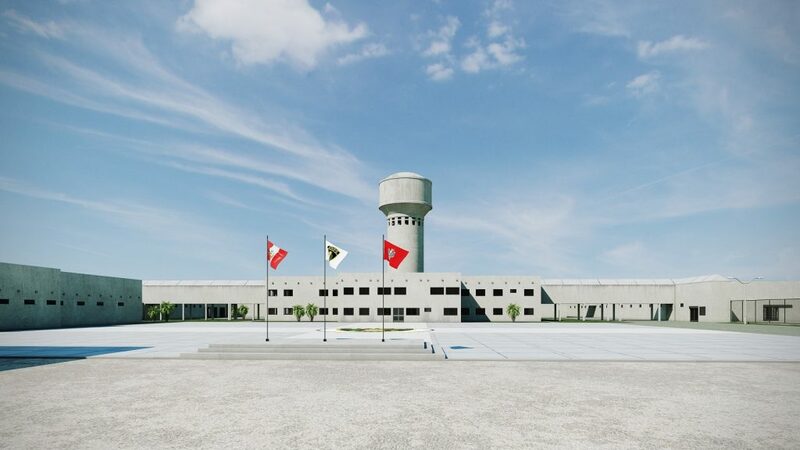 Each module has 2 educational classrooms, 2 workshops, 2 manufacturing-technical training workshops, 1 infirmary, 1 social assistance office, 1 psychological assistance office, 1 legal assistance office, 1 gymnasium, 1 dining room, 1 multi-purpose room, garden and sports playground.Women 2 modules (96 inmates per module): 1 minimum and medium and 1 medium and maximum. Each module has 2 educational classrooms, 2 workshops, 2 manufacturing-technical training workshops, 1 infirmary, 1 social assistance office, 1 psychological assistance office, 1 legal assistance office, 1 gymnasium, 1 dining room, 1 multi-purpose room, garden and playground and a nursery adjoining the module. Special closed regime:Men 3 modules (30 inmates per module): 1 type A, 1 type B and 1 type C.
Study at the Profile level. Phase III: Detailed Design (with the use of BIM technology). Electronic security, access control projects. Installation of the social rehabilitation service in the prisons of Ica and Arequipa. Ministry of Justice and Human Rights of Peru. Ica and Arequipa Region. Peru.